Planning an event in or around Bury St Edmunds? Looking for a stylish, all weather marquee? Planning a wedding and can’t decide between a country house, city venue or a marquee? See why some top reasons why choosing the latter might be the best decision you ever make, below. 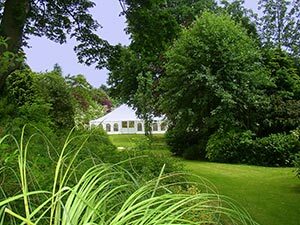 With Weatherill Brothers, marquee hire Bury St Edmunds has never been easier and more convenient. Just get in touch on 01953 882 394 or email sales@weatherillbrothers.co.uk to tell us about your perfect wedding and we can make it happen. A marquee gives you the freedom to pick and choose your perfect location. Whether it’s the garden of a family home, a beautiful green space or urban environment, all you need is the space to put it up. Marquees come in a wide variety of shapes, sizes and styles. Whether you want a traditional marquee or modern venue, the options are endless. Unlike with some fixed wedding venues, marquees don’t have a limit on the number of guests you want. Always dreamed of a big wedding? Then hire a bigger marquee to accommodate more guests. Choose a marquee with transparent or open sides to make the most of the beautiful view. A marquee is the perfect way to bring the outside in on your special day.